Can be operated with one hand. Upgraded stainless coiled spring pin with .1875 diameter for use under extreme conditions. Truly ambidextrous but capable of full time left hand operation. 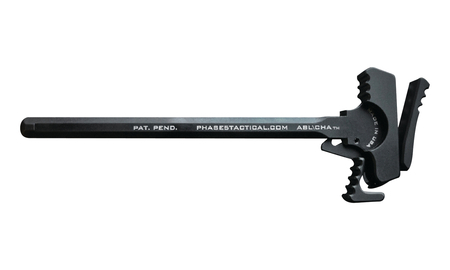 Machined charging handle has broad grip grooves. Increased thickness of walls along the slide. Made in the USA.